Mark Duguid's study unpicks Cracker's origins and development, its social and political context and its distinctive moral focus. Mark Duguid's study unpicks Cracker's origins and development, its social and political context and its distinctive moral focus. "Cracker (1993-6, 2007) was one of the standout television series of the 1990s, reinvigorating the television crime drama and winning both critical plaudits and ratings success. In Fitz, its flawed, self-destructive, arrogant but brilliant criminal psychologist hero, the series created one of the decade's most iconic characters, in the process turning Robbie Coltrane from a respected comic performer into an award-winning actor and a genuine star. Cracker played freely with the conventions of the detective thriller, focusing less on the 'who' of crime than the 'why'. As such it followed a Catholic preoccupation with deep motive and moral responsibility shared by Fitz and his creator Jimmy McGovern, the first and most dominant of the series' three writers. Through three series and two specials, Cracker explored the causes and consequences of crime, while never losing sight of the moral choices made by its perpetrators. At the same time the series exposed the inherent dangers of a police force in pursuit not of justice but of 'results'. 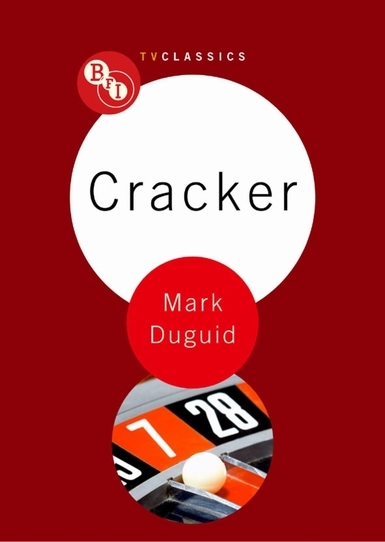 Mark Duguid's illuminating study of Cracker traces the series' origins and development in the context of early 1990s television and places it in the contemporary social and political landscape. Duguid explores the series' distinctive moral focus, paying particular attention to Cracker's concerns with justice and the impact of bereavement and grief, most notably in McGovern's impassioned engagement with the devastation caused by the Hillsborough disaster and its aftermath. Combining detailed textual analysis with insights drawn from interviews with McGovern and producer Gub Neal, Duguid reveals how one of the angriest, toughest series of its time is also, paradoxically, one of the most compassionate. " "Cracker (1993-6, 2007) was one of the standout television series of the 1990s, reinvigorating the television crime drama and winning both critical plaudits and ratings success. In Fitz, its flawed, self-destructive, arrogant but brilliant criminal psychologist hero, the series created one of the decade's most iconic characters, in the process turning Robbie Coltrane from a respected comic performer into an award-winning actor and a genuine star. Cracker played freely with the conventions of the detective thriller, focusing less on the 'who' of crime than the 'why'. As such it followed a Catholic preoccupation with deep motive and moral responsibility shared by Fitz and his creator Jimmy McGovern, the first and most dominant of the series' three writers. Through three series and two specials, Cracker explored the causes and consequences of crime, while never losing sight of the moral choices made by its perpetrators. At the same time the series exposed the inherent dangers of a police force in pursuit not of justice but of 'results'. Mark Duguid's illuminating study of Cracker traces the series' origins and development in the context of early 1990s television and places it in the contemporary social and political landscape. Duguid explores the series' distinctive moral focus, paying particular attention to Cracker's concerns with justice and the impact of bereavement and grief, most notably in McGovern's impassioned engagement with the devastation caused by the Hillsborough disaster and its aftermath. Combining detailed textual analysis with insights drawn from interviews with McGovern and producer Gub Neal, Duguid reveals how one of the angriest, toughest series of its time is also, paradoxically, one of the most compassionate. "